Kissimmee City Commission candidate Andrew Jeng (left) and U.S. Congressman Darren Soto meet in Washington D.C. Photo: Andrew Jeng campaign. KISSIMMEE, Fla. (FNN NEWS) – Andrew Jeng’s campaign announced in a press release Saturday that U.S. Congressman Darren Soto, whose congressional district includes Kissimmee, parts of Orlando and Haines City, has endorsed Jeng’s candidacy for Kissimmee City Commissioner, Seat 2. This is a huge endorsement for Jeng despite having three opponents in the Seat 2 race: Felix Ortiz, Reginald Hardee, and Steven Mullis. Patti Daugherty recently dropped out of the race. Darren Soto made history as the first Floridian of Puerto Rican descent to serve in the U.S. Congress. Andrew Jeng is likewise poised to make history as the first Chinese American elected to public office in the state of Florida. 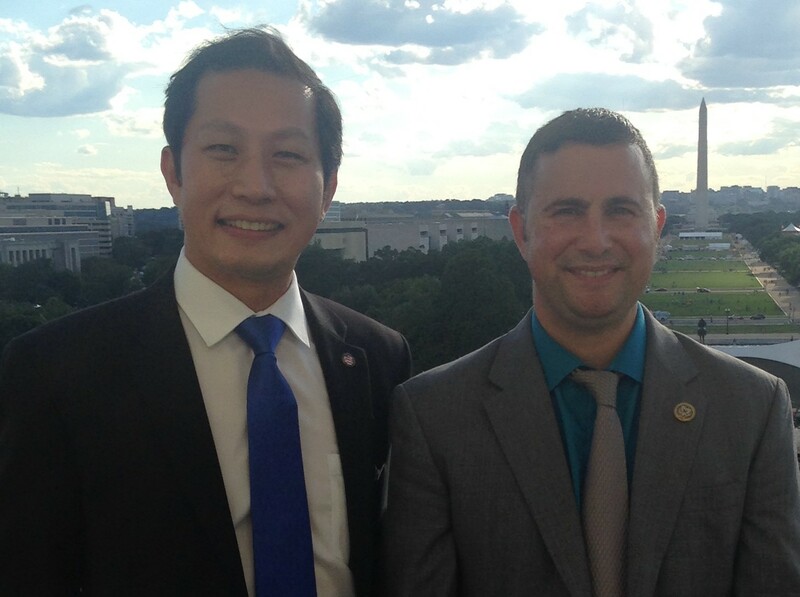 In addition, Congressman Soto recently recognized Jeng in the Congressional Record as a distinguished community leader on the floor of the U.S. House of Representatives.